To minimize the damage caused by a lost or stolen wallet you should carry as little in the way of credit cards and ID documents as possible. Leaving your drivers’ license at home is not an option but there is no need to carry your social security card with you at all times and the same holds true of your passport or your alien registration card if you have one. You should also try to avoid carrying all your credit and debit cards with you all the time. 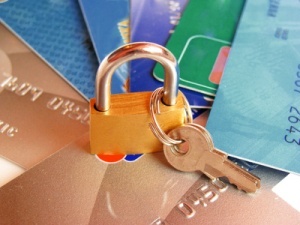 Having one credit card lost or stolen is bad enough but losing them all can be disastrous. If you are using an ATM to obtain a cash advance on your credit card or you are using your debit card to make a cash withdrawal if you do not do so carefully you can all too easily fall victim to off-line credit card fraud without the physical card itself ever leaving your hands. When using any ATM, indoors or out, shield the keypad in some way as you enter your PIN number. Even if you think no one else is around and watching you that is often not the case. Even more important is that if the ATM you are using prints out a physical receipt for your transaction make sure you take it with you. Clever scammers can easily hijack a credit card account with just the information contained on these simple pieces of paper and actively look for receipts that careless consumers leave behind. The best course of action? If the ATM screen asks if you want a receipt or not choose no, and then just make a note of the transaction yourself. Credit card scammers are a lot more inventive than you might think. One newer “trend” in off-line credit card fraud is a scammer using the camera on their cellphone to snap photos of consumer’s credit cards as they use them to pay for purchases at a physical checkout. For this reason you should shield your card as carefully at the checkout as you do at the ATM and again be sure to take all receipts with you as many merchants do print some limited financial information on those receipts that clever fraudsters can use to hijack your credit card account, again totally without your knowledge. Everyone has a “clear out” of all the paper receipts in their wallet or purse once in a while. If you do this make sure you shred, or at least rip up, any credit card or debit card purchase or ATM receipts before you ever put them in the garbage. Serious credit card scammers are not averse to going through garbage cans looking for useful information and so you should never throw away anything they can work with. One easy way for scammers to get all the information they need to hijack both your credit card and your identity itself is you con you into giving them it to them over phone. Not only do they call people with fraudulent offers that are just a way to get their hands on credit card information but they will also pretend to be calling from entities that you usually trust – like your bank or credit card issuer. Remember, credit card companies, banks and other financial institutions will not ask you for your credit card account information. Why? They already have it and have no need to ask you for it at any time. They may ask you to verify information if you call them, but not if they call you. Paying for that great restaurant meal with your credit card is quick and easy. Pop your credit card into that little black wallet and it’s all taken care of for you, you never even need to leave your seat. You should be vigilant though. Not every restaurant server is honest and while they may not be brazen enough to steal your credit card information outright there is a simple way that servers use to skim money from unsuspecting diners. The trick lies in that tip line. Usually when a server brings you a credit card receipt to sign the transaction is not yet finalized as a tip can still be added before it is. If you leave that tip line blank because you intend to tip in cash, or even if you do fill in an amount, an unscrupulous server can fill in a tip, or change the one you left. It’s not usually a big amount but if they do it all night it can be a good way to add to their earnings. The way to protect yourself? Ask to see the final receipt, the one that is generated after the transaction has been finalized. As you can see many of these off-line credit card scams can be put into motion without you ever losing your credit card even for a second. For that reason you should check your credit card accounts on a regular basis even if you have not been using them, just to make sure that there has been no unusual activity that you were not aware of.